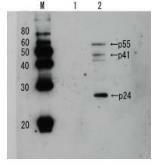 Specificity/Sensitivity : This antibody is specific for the HIV1 p24. Specificity/Sensitivity : Specific for HIV-1 p24. 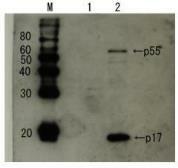 Does not cross-react with other HIV polypeptides.